This old-school diner is the one-stop shop for all kinds of comfort food. From the classic sandwiches and burgers to something a bit more innovative like the avocado omelet, Cherry Pit Cafe in Greensboro is the place to go to for a quick meal that’s priced right. They serve a lot of breakfast meals too, and is open early, seven days a week. Cherry Pit Cafe is especially known for its pies. 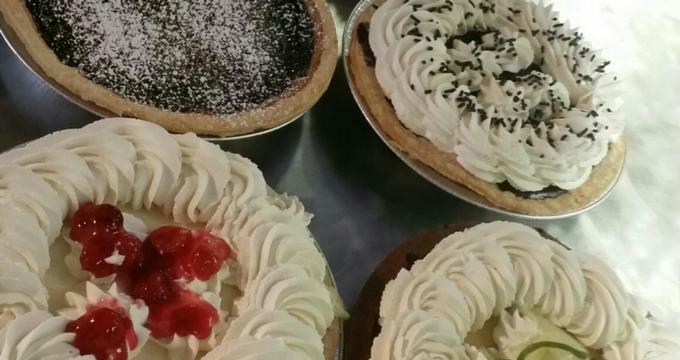 The place serves 20 different pies daily and is always the best way to end a perfectly good meal. Cherry Pit cafe doesn’t take reservations. They do, however offer takeout orders and deliveries. This can be done by calling 336-617-3249 or filling out the online form on their website. Cherry Pit Cafe also accepts bulk orders. This is ideal for private events and parties, whether for business or pleasure. They also offer discounts in some situations. For more information about bulk orders and their menu, call Cherry Pit Cafe via 336-617-3249.